Betty kisses Mother’s forehead but her insides prickle. The only days Mother talks this fast and wakes this early are the days before a crash; before her mood springs high and crumbles leaving her in bed for days, weeks sometimes, until she can pull herself upright. Betty clears an empty gin bottle and lipsticked tumbler from the floor. She is wondering whether to ask Mother about them when a cough cuts in. She whips around. Gallagher is standing in the kitchen door staring at her. It’s 1956 and, while other fifteen-year-old girls are busy courting boys and thinking about the latest dance, Betty Broadbent helps her mother run the Hotel Eden, a simple bed and breakfast on the Cornish coast. Each morning she awakes, sometimes to the sounds of her mother singing in the kitchen, other times, groggy and sleep-deprived, to ensure the hotel guest get their breakfast, and clear the remnants of her mother’s late-night drinking binges. Betty’s life has never been simple and it becomes even more complicated when a string of brutal murders in her hometown bring London’s press flooding to the scene. The Hotel Eden is overrun by leering reporters looking to cosy up to Betty’s flirtatious mother, or, at a pinch, Betty herself. In the chaos Betty finds herself transfixed by the one quiet individual – the mysterious Mr Gallagher. As her mother’s moods become more and more erratic, Betty turns to Mr Gallagher for escape. An unlikely friendship blossoms between the pair, and Betty find herself living for the brief moments she spends with the man more than twice her age. But when Betty becomes accidentally entangled with the murders there is more than an age gap to complicate things, and she is forced to make an unbearable decision which will affect her life for years to come. The first thing that drew me towards the book was not the subject matter, truth be told I had no idea what The Unforgotten was about until I started to read it, it was the stunning cover design. Simple, yet elegant, and deliciously mysterious, the cover is beautiful to look at, and alludes subtly to the content of the book. I loved the cover, so I read the book, and I loved that too. The Unforgotten takes the classic murder mystery novel and gives it a contemporary makeover. There are certain things one automatically expects from such a book, to be tricked, led astray, captivated and surprised, Powell delivers on all these points. But it is her exploration of the ripples created by the murders which give the novel its contemporary twist. It is Betty who takes the centre stage – her mother, Mr Gallagher, the murder victims and the ‘Cornish Cleaver ‘all assume a side role. Betty’s story is tragic, and her undying commitment to her, obviously bipolar, mother is evidence of the unbreakable, and sometimes devastating, bond between mother and child. Betty clings to the happy moments when her mum is on a high, the nights when she would make her cinnamon on toast. When things get difficult it is this memory she clings to, like curling up in the foetal position, revisiting happier times. At the same time she has a desperate desire to run away, to escape from the bad times when her mother crashes and burn, and the devastating reality is that her escape becomes the thing that traps her. I was completely drawn in to Betty’s story, and within this, the hunt for the identity of the Cornish Cleaver. I know some people do not like when a book is split between two time periods, but I personally love it. It is wonderful to explore the far-reaching consequences of a storyline, and passing between the present day and the 1950s helps to tease Betty’s story out, allowing her true character to emerge. While there is not much in the way of physical description when it comes to Betty, her mannerisms, thoughts, and the way she interacts with those around her lead her to be an incredibly well-rounded and complex character, outwardly appealing, charming and so perfectly innocent. The Unforgotten really spoke to me; but it is hard to say how this book will go down with other people. The storyline ventures into brave and hard-hitting territory which some people could find difficult to read about, exploring mental illness, unrequited love, death and destruction. Laura Powell, with her unique style and intricately-developed characters, is certainly an exciting new voice on the contemporary literature scene. I love the cover, too. This one looks interesting! It is! I love it. After much ado I managed to get hold of a prepub copy. Unfortunately the publication date has been put back to next spring! Oh, no! No wonder I can’t find it anywhere. I wonder if they would send one to me. What publisher is it? The old publisher is Hesperus press. I think the new one is Freight design. I know Freight don’t have any copies yet, but Hesperus might. I managed to get one through a friend after she saw I was looking! Well, of course, they’re based in London, so I don’t know if they’d be open to sending one to me. I might have to wait. Thanks for the info. Hesperus Press replied to me that they no longer handle this book, and I have been unable to find it online anywhere. So, I guess I’ll just have to wait to see if anyone else publishes. it.The good news is that Hesperus said they support small reviewers, so maybe I will request another book from their catalog. Yeah I heard they were no longer doing it. I think my friend got it from them a while ago. Release is set for the spring now, so it might just be a bit of a wait. Very frustrating! That is good news about Hesperus though, I might have to drop them a line. I’m running low on material. No longer handling it sounds like a different answer than coming out in the spring, though. Maybe it’s coming out in spring from someone else. Yes that’s what I meant! It’s now being handled by Freight Design. I mentioned them before. Oh, I think I missed that somehow. You should write Hesperus. I requested two books and they sent me a message saying that they would send me a book a month. I don’t know if that means up to a book a month or exactly what, whether they will send me unsolicited books or whether I can request a book a month, but what the heck! Good luck! That sounds amazing! I’ll send them an email this weekend 🙂 thanks. 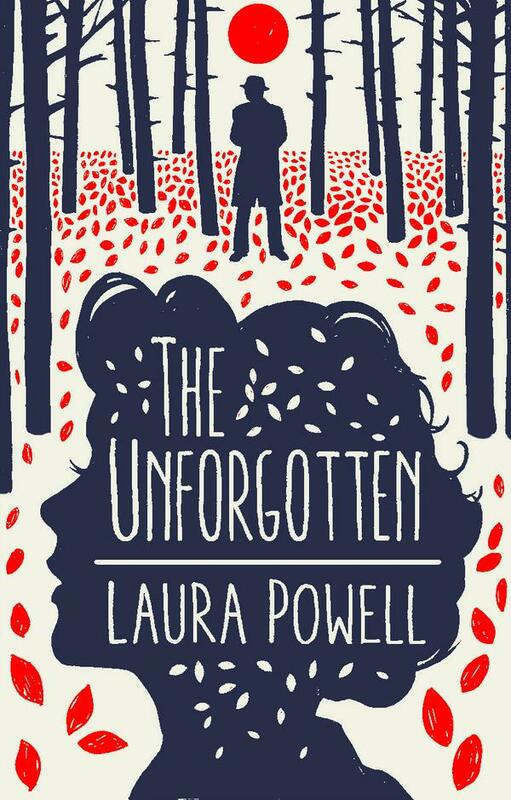 Hi guys, Laura Powell’s book is being released this March. You will be able to purchase it on amazon nearer the launch date.